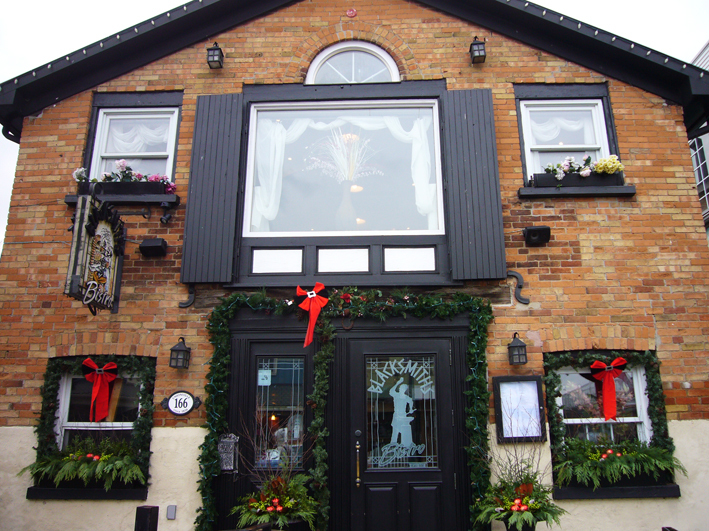 Departing from Scarborough, the eastern part of Toronto where I stayed with my sister in early December, Unionville was the first tourist attraction I visited on the first 3 days of my stay in Canada. She warned me in advance in order not to disappoint me that it wasn’t the best time to visit this place despite all the pretty houses. Unionville is a town in the suburb of Markham, 33 km from the northeast of downtown Toronto, founded in 1794. Nonetheless, the main street or downtown was only erected in 1840 and all the buildings remain unchanged ever since. 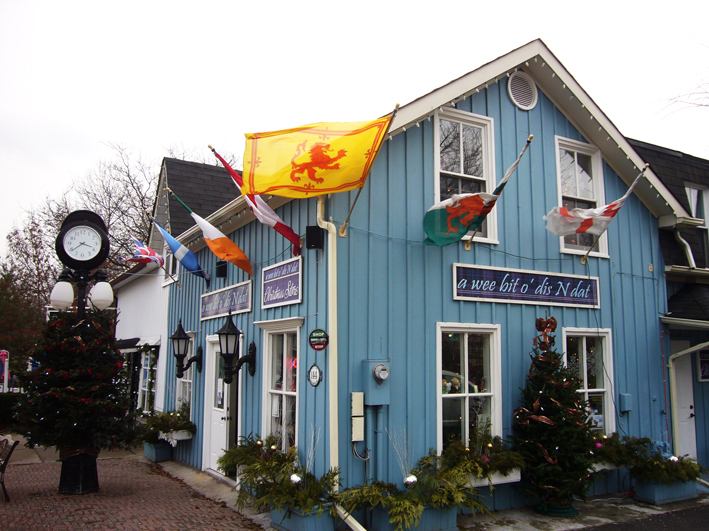 Now Unionville is the heritage conservation district especially the main street and listed in historical buildings of Markham. Later on, I understood why she told me so. For a town being dependent on tourism, it was extremely quiet even though I saw some cars parking in front of the stores. There were merely about 10 people passing by outside in almost an hour. Plus my sister, mom and I, altogether were 13. It was just an estimated total, but enough to make number 13 became more notorious bad luck. Regardless the superstition, there are reasons why it happened. The cold weather and wind in winter were unfriendly to this town. It wasn’t as cold as February, but usually flowers and trees start to blossom in spring. Events and festivals are held in summer. Outdoor terraces are open during summer. People prefer to go out more in spring and summer. Well, could be extended up to autumn, but definitely not winter. I guess they all make sense. Especially we were there at around 3 pm where some pubs, bars and restaurants were still closed. Schools and universities hadn’t had Christmas holidays yet. But I still believe positive thinking beats all negative things around us. The main street was an outdoor architecture museum with goods to sell and people who operated daily activities of each store, café, restaurant and bar. No blond, black, brunette, grey and white heads blocking your vision to take pictures and to see certain details of the buildings. Visiting this town in the evening to eat out would be more alive during winter, but you won’t see the architecture that much. Detail of the door of Old Unionville Congregational Church built by EJ Lennox in 1879, the man who built Casa Loma. 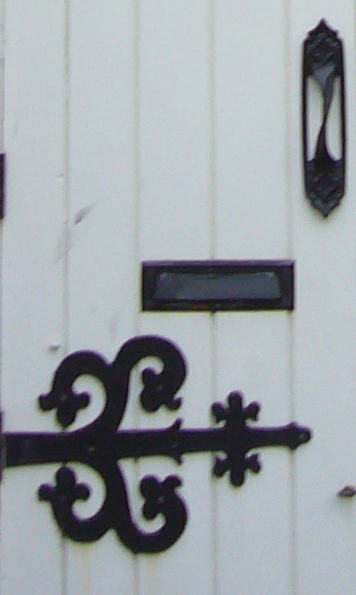 I took it for the sake of the composition of the engraving, mailbox, door handle and yes, I let it blur. I hope it’s not a lame photo. I would like to see what’s behind this door, but the church was closed. “Lost wives found here.” You bet! 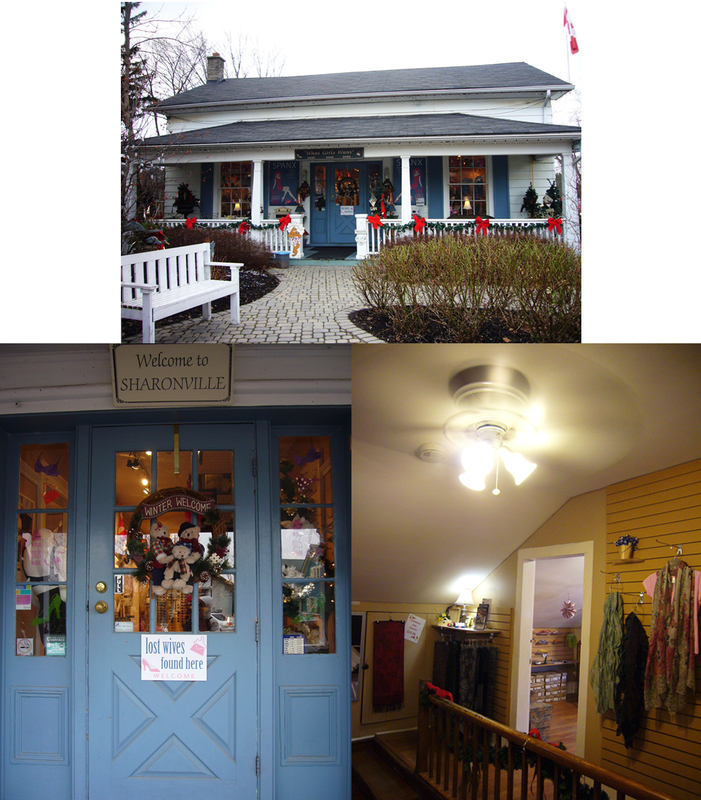 I instantly got a glimpse of idea of what Unionville offers to its visitors apart from food and beverages by entering some stores without recalling their names. Suppose you’re looking for anything but main street items from fashion, toiletries, gift shop to local artworks, most probably you’re at the right place. Souvenirs were not many and a few weeks before December 25, they sold Christmas decorations too. Fashion goods tend to be vintage look, but doesn’t mean (real) vintage. Second-hand goods from previous styles, new items of a vintage-looking local brand and a cheap vintage-looking Chinese brand are the “vintage” you can get in this town. I prefer calling it vast vintage. Bombarded “Made in China” goods are something very common in fashion even for Tommy Hilfiger, Armani etc. I could notice some cheap brands from China in the store (I forget its name) easily. I’d be careful with what I buy. I don’t mind purchasing a Canadian fashion brand which is unique and rarely available in other countries even though it’s made in China. But I really do mind purchasing a Chinese jewelry brand I can get less that $5 in my hometown sold for over $30 in Unionville or any other cities around the world. It’s an inevitable global trend that no one could blame. Needless to say, It would be perfect to have a Canadian brand “Made in Canada” in Canada. If you get lovely real vintage, local brand, uncommon toiletries or local artwork from a gallery, it signifies that you’re a successful shopper. 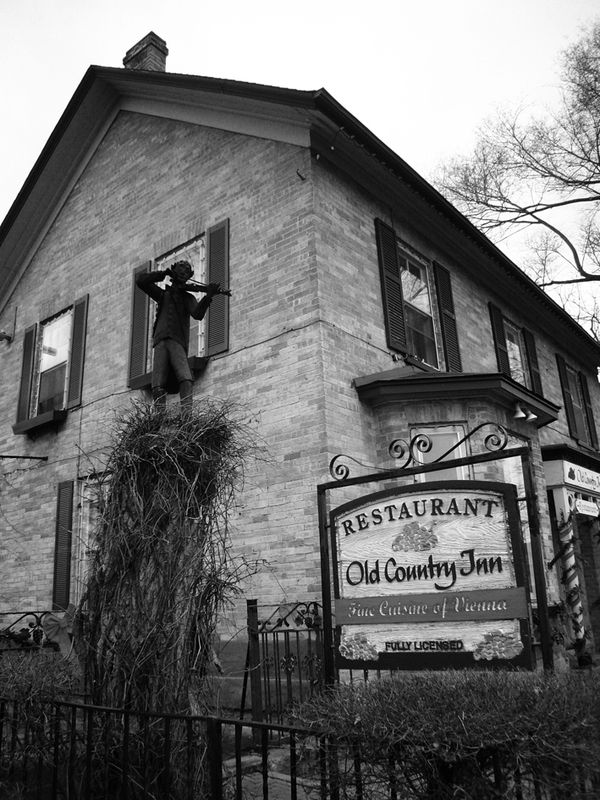 The most visited building in Unionville built in 1840 by William Eakin, leased in 1872 and finally sold in 1881 to Robert Harringston. 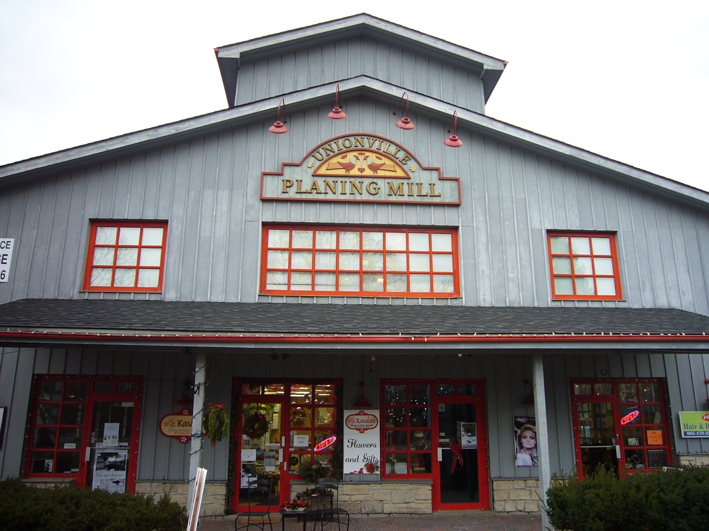 Planing Mill was a mill supplying carpentry goods for houses, churches, barns and schools in Unionville for 140 years. It was rebuilt in 1983 after the fire destroyed the building. Starbucks looks “humble”. Without the signboard, I won’t notice it’s Starbucks. The sweetest store selling sweets. 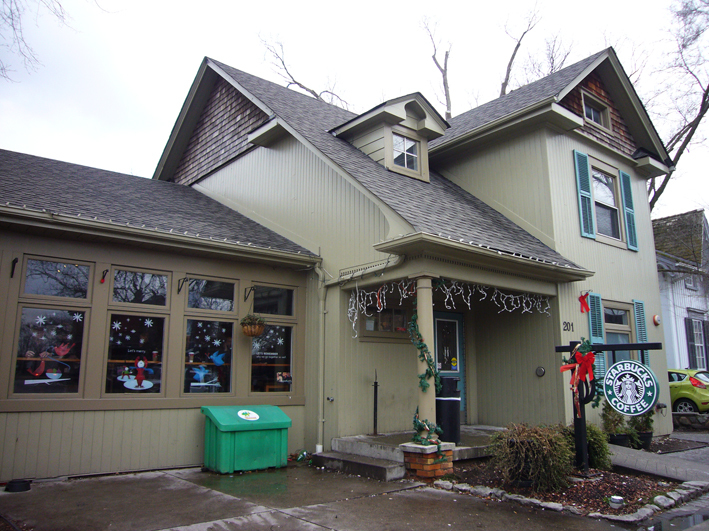 Above all, I loved Christmas gifts at Old Firehall Confectionery, the last place we visited to heat up our body and where we got a big cup of hot chocolate before going home. Looking at those chocolate and candy gifts, I felt tempted and pity at the same time. I wish the town had many more visitors, so they wouldn’t be wasted. I would be more than happy to have them if I didn’t gain weight very easily and had a fast metabolism system in my body. I would also like to dine in the restaurants, but I was too full on that day. Instead, my mom got a frozen stewed beef pie from a grocery store still in the main street neighbourhood, which was fortunately tasted really good. 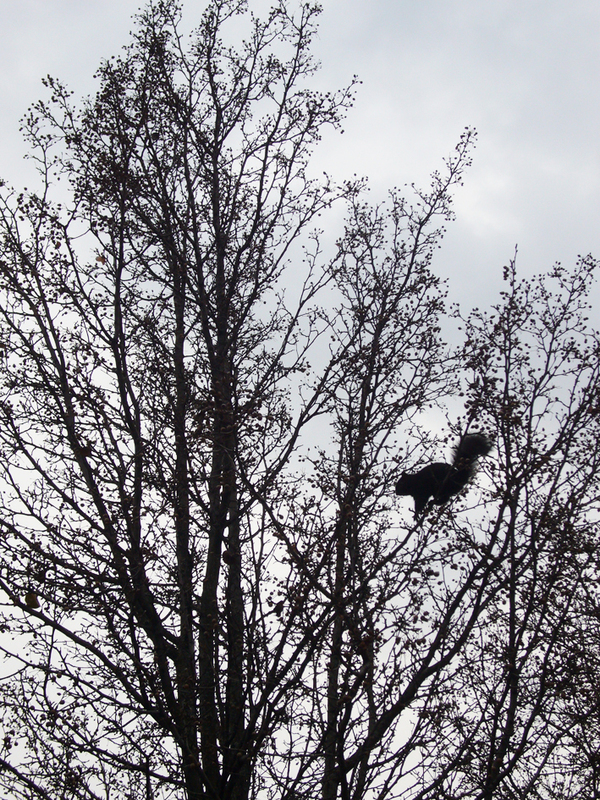 The last object I saw was a squirrel running on a tree branch. It was a cute thing to see, especially the tree was bald so I could see the little creature crystal clear. 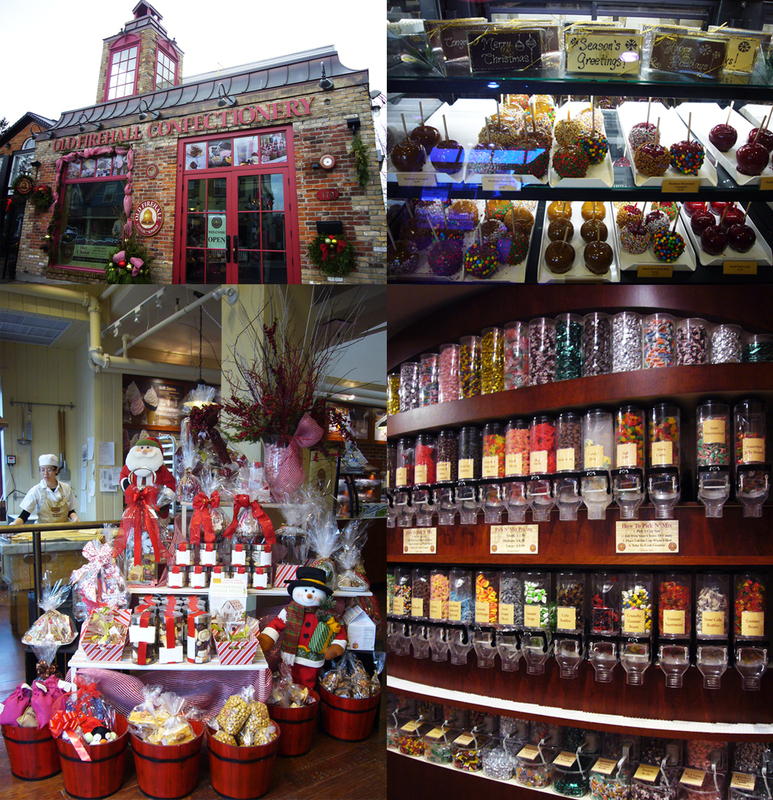 In total, we spent about 50 minutes in Unionville including parking the car, walking to and from the car park. I was only swimming on the surface when it comes to observing this town. 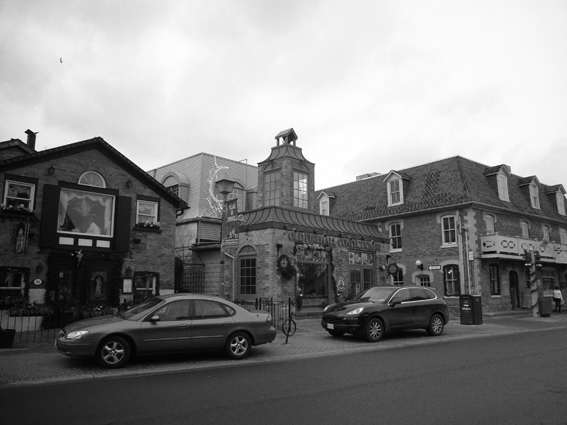 Nonetheless, I was glad it is well-preserved while many other suburban areas nearby and in Toronto mostly have unified square-shaped and -sorry to say, tasteless- shophouses and apartments.